When you are looking for a fun experience for the entire family that cannot be found elsewhere in Pensacola, head over to Rodizio Grill. It’s an authentic Brazilian Steakhouse that is perfect for any special occasion, or just for a night out. The restaurant brand is known for its playful Brazilian spirit, authentic menu offerings, and family friendly atmosphere. 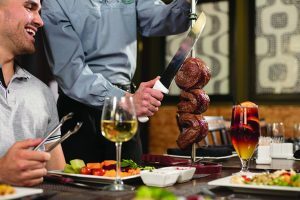 Over 20 years ago, Rodizio Grill became the first Brazilian “churrascaria” steakhouse to be established in the United States. 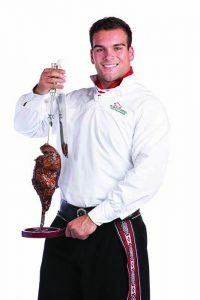 Rodizio Grill was founded in 1995 by Ivan Utrera who wanted to bring this popular Brazilian Churrascaria concept, along with cherished family recipes, to the USA from his home country of Brazil. 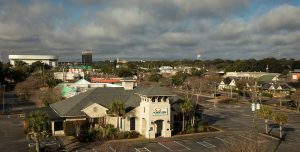 Rodizio Grill opened in Pensacola in 2012 by two local, seasoned restauranteurs Mike Domning and Randy Harrelson. Rodizio Grill remains operated by three local friends, Brandon Blizzard, Ryan Painter and David Gutierrez. 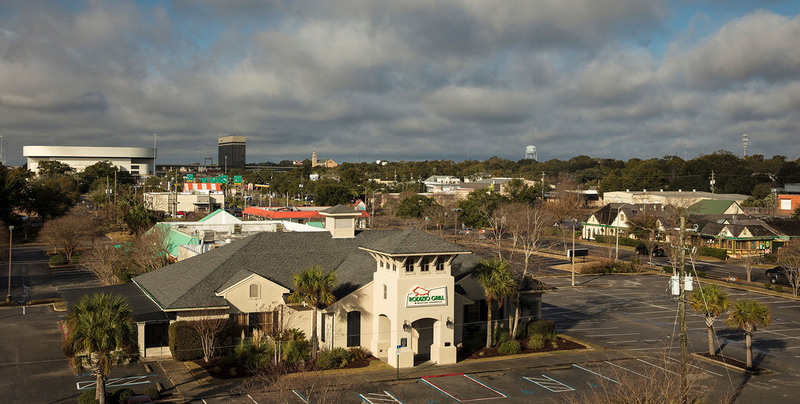 All three grew up in the Pensacola area where they have gained most of their restaurant experience. 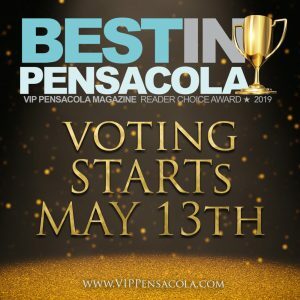 They love living in Pensacola, and love operating such a distinct and exciting restaurant within the community. 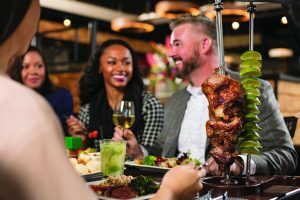 This unique dining concept features rotisserie-grilled meat expertly seasoned and carved tableside by traditionally dressed “Gauchos” which means cowboys in Portuguese. Over a dozen different grilled meats are served at Rodizio Grill including steak, chicken, pork, fish and more. Some guest favorites include the signature top-sirloin steak, sweet and spicy chicken, bacon-wrapped pork loin, and glazed pineapple. 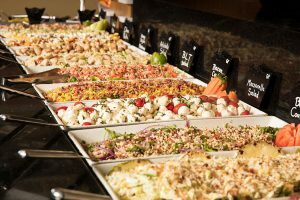 While the meats are the main attraction, they are complemented with an award-winning gourmet salad bar, marked by original salads, fresh seasonal fruits and vegetables, and authentic hot side dishes. are happy to arrange live music, DJ’s and other entertainment to spice up any celebration. 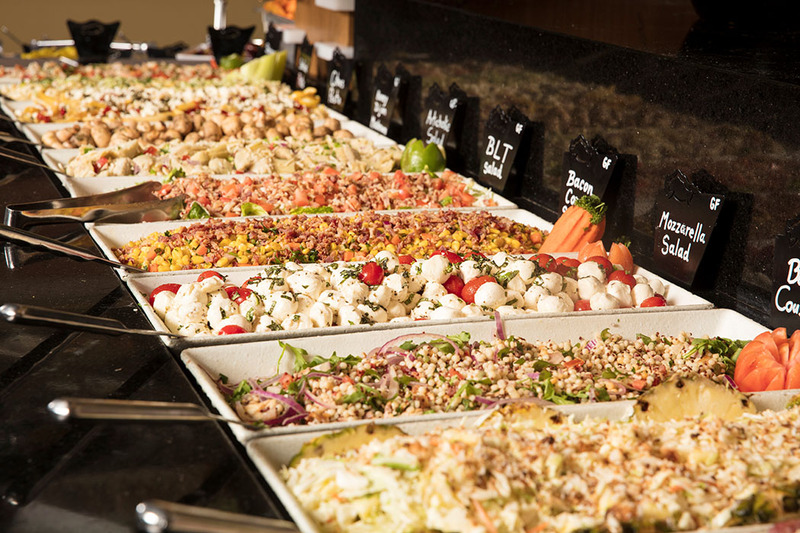 Groups love dining at Rodizio because every guest can enjoy what they like to eat, and enjoy as much as they like! Menu planning is not needed, due to Rodizio’s unlimited, abundant style of dining. Rodizio Grill proudly supports the community in a variety of ways including sponsoring and donating to countless events. 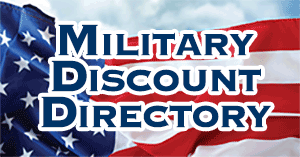 Rodizio also proudly supports the military community and veterans by offering 10% off Monday-Thursday. 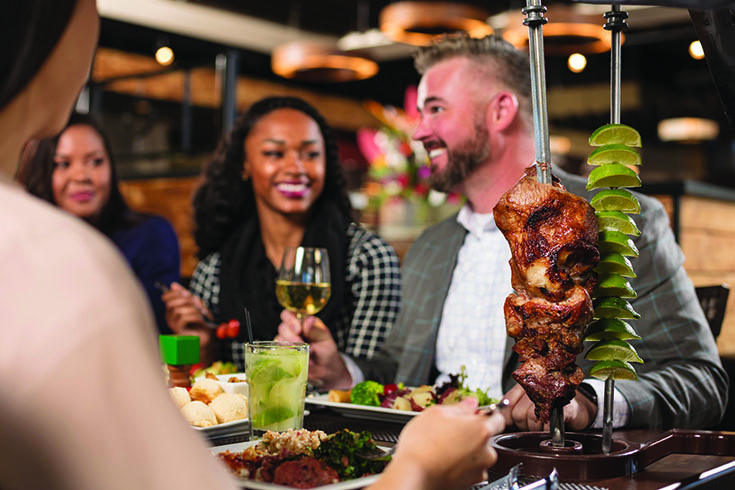 Having just celebrated its 5-year anniversary, Rodizio Grill continues to thrive and prides itself on providing an excellent guest experience for everyone. Rodizio Grill is located between Chase & Gregory just pass the Bay Center. 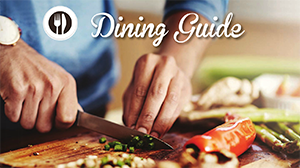 For more information, visit Rodizio.com or call 850-466-2113.